For independent, safe and worry-free retirement living, a Royal Bay Close Care retirement property is the perfect answer. A retirement home of your own, located and designed specifically with you in mind, gives you the freedom to live the life you choose, and to enjoy the companionship of like-minded people in quiet and peaceful surroundings. 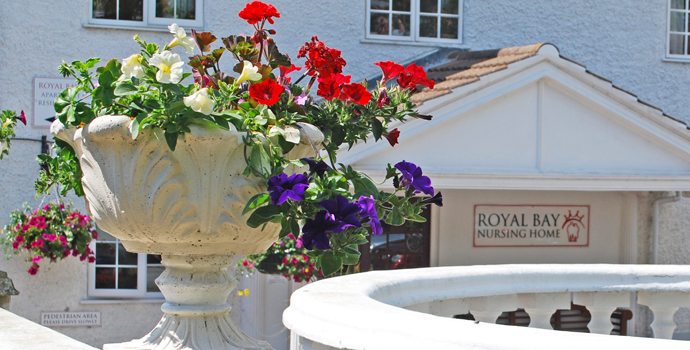 Royal Bay’s Close Care retirement properties are built in close proximity to an existing Royal Bay Residential or Nursing Home, which means that you can enjoy their communal facilities as well as being safe and secure in the knowledge that help is on hand if and when you need it. Close Care Companionship - The Close Care retirement properties are managed by a dedicated Care Manager, who will be like a good neighbour to you. As well as being available to deal with any problem which may arise, the Care Manager can also assist you with your daily needs. Shopping can be arranged, or meals can be provided if you prefer from time to time. Similar to sheltered accommodation, but even better! The management of the retirement properties looks after communal tasks such as window cleaning and general maintenance, which leaves you worry-free to enjoy the good things in life. Our close care retirement properties in Fontwell near Arundel and Chichester, West Sussex have unfortunately all been sold. However some of our properties may still up from time to time as part of a private sale through Charles Peck, a trusted local estate agent.